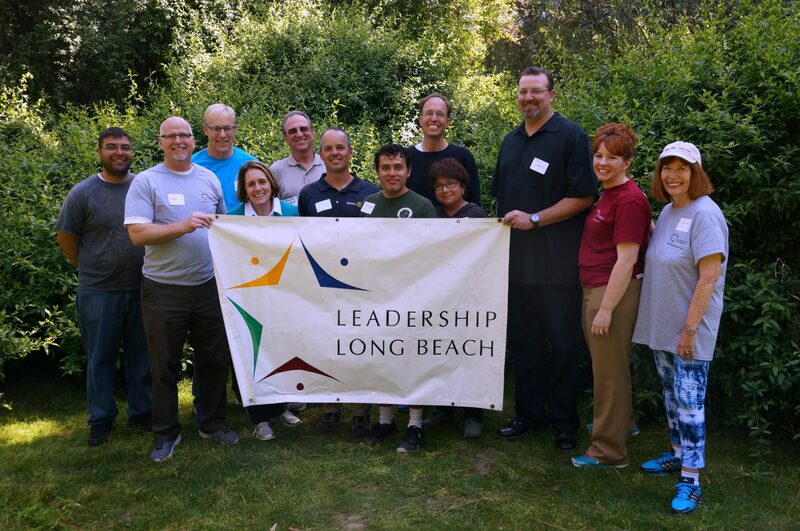 Past President Jill Rosenberg (LLBI ’92) brought together a group of LLB alumni to lead a ‘mini’ LLB experience for six Long Beach Rotary members to learn more about Leadership Long Beach. The 90-minute session included the importance of principles of leadership through similar activities and discussion that are integral to the core programs of Leadership Long Beach. Nelson Kerr (LLBI ’08), Sara Myers (LLBI ’12), and Olivia Maiser (LLBI ’09), all whom are members of the Long Beach Rotary also, each led a retreat-type exercise that was focused toward one of LLB’s leadership principles. While LLB has 14 leadership principles, the group focused on only 3 to present to the Rotarians. Lunch was purchased at Big Mista’s BBQ (Thanks Neil Strawder!) and thanks to CampFire USA-Long Beach for allowing LLB to use their facility once again.